"Those looking for co-op multiplayer gaming excellence should look no further than this charming, addictive sequel." Online multiplayer! 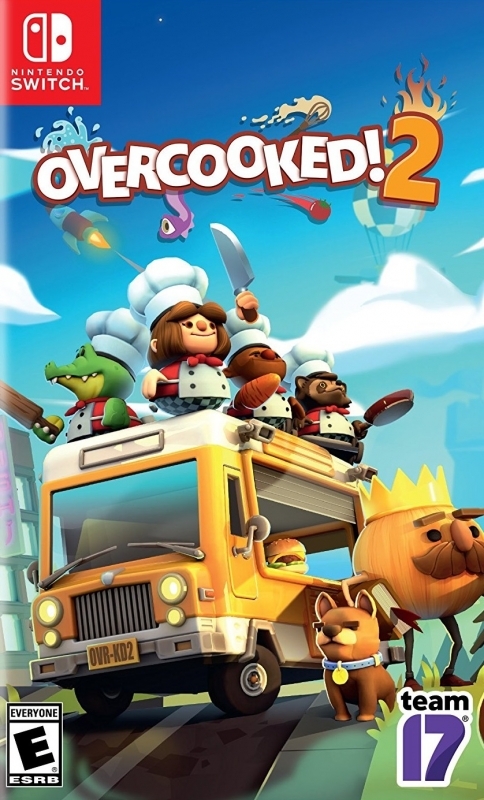 For the first time you can cook up a storm with up to four players in both local and online multiplayer! Throwing! Throwing is now an official game mechanic, allowing you to toss ingredients to your fellow chefs or even straight into the pan/blender/onto the floor! Interactive world map! As you drive, sail and soar your way around the map in the Onion King’s amphibious air bus you will open up new areas using hidden buttons around the world! Recipes! From spaghetti to sushi and pancakes to pizza, recipes both old and new will need to be cooked to perfection (or at least not burnt to a crisp!) New recipes mean new ingredients and new equipment so even the most well-seasoned Overcooked players will be challenged!